Aging is a team sport; let’s do it together! 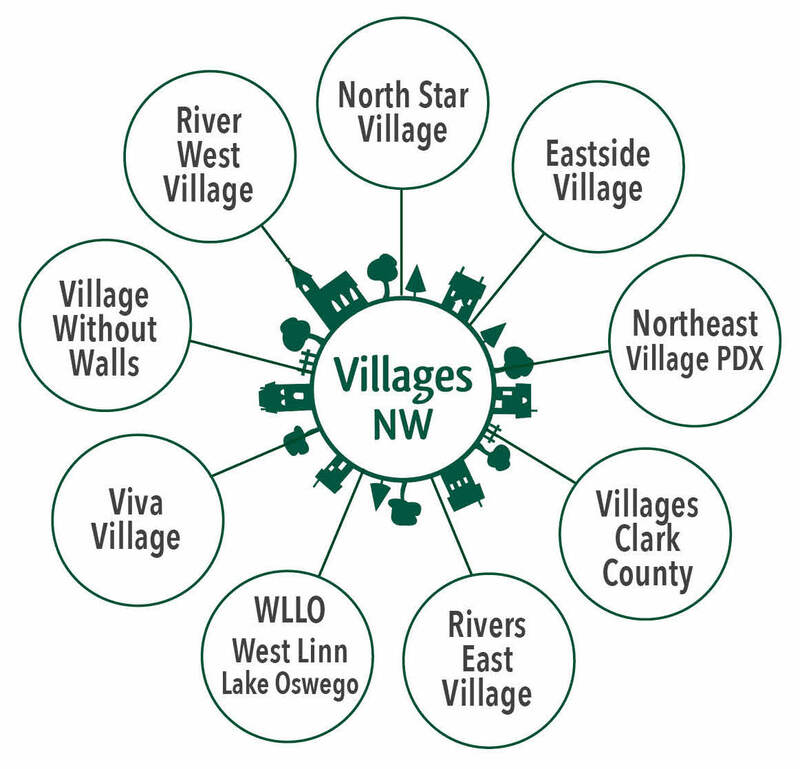 River West Village is part of the national Village Movement of neighbors working together to offer age-friendly options for older adults to successfully live safely and independently in their homes in SW Portland while living full and meaningful lives. Villagers make new friends close to home by getting together for coffee, walks, discussion, happy hour and outings. Volunteers do tasks friends and family might do including transportation, household chores and technology assistance. River West is one of eight Villages in the Villages NW network in the greater Portland metropolitan area. Our Service Area is generally south from I-405/Highway 26 to the Multnomah County line and west of the Willamette River to Scholls Ferry Road. River West Village! is a local branch (a spoke) in the Villages NW Hub and Spoke Network, which is organized and run by community members in the Portland metro area. Villages NW provides administrative, development, HR and financial services to local Villages.